The top eight photos are current as of 27Jan2019 of Mattis. Mattis weighed in 200lbs at 13 months. 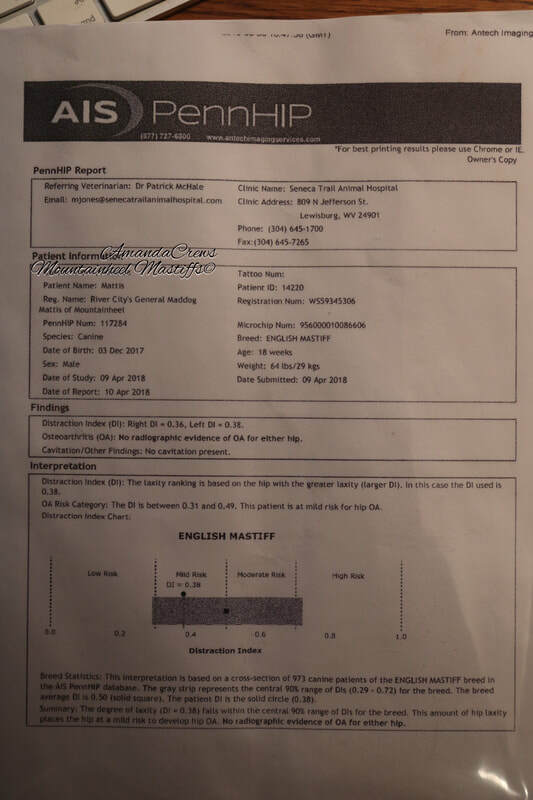 His predicted/expected adult weight is 240-260. 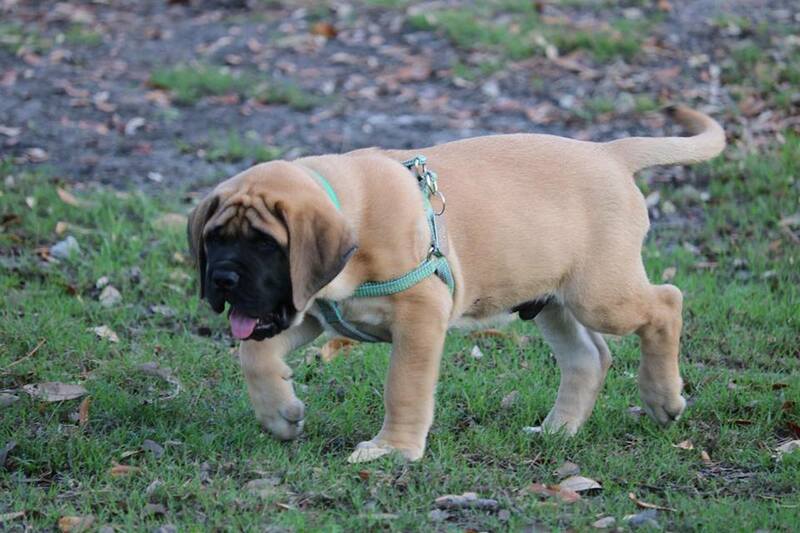 He is a big tall Mastiff with a beautiful head and honey apricot coat. Top two pictures are of Mattis and Zelda. Mattis is getting so big, tall and filling out nicely. Mattis weighed 200 lbs at 12 months of age and he measured 33-34. Very impressive. Mattis has an impressive pedigree which speaks for itself. Both parents are Champion Titled. Mattis looks very much like his Sire with the thickness of his Dam. Best of both worlds! two below pictures at 12 weeks and 45 lbs. Mattis has the most beautiful eyes I have ever seen on a Mastiff puppy. Below pictured at 11 weeks and second picture below at 10 weeks. Mattis at 11 weeks and 40 lbs. 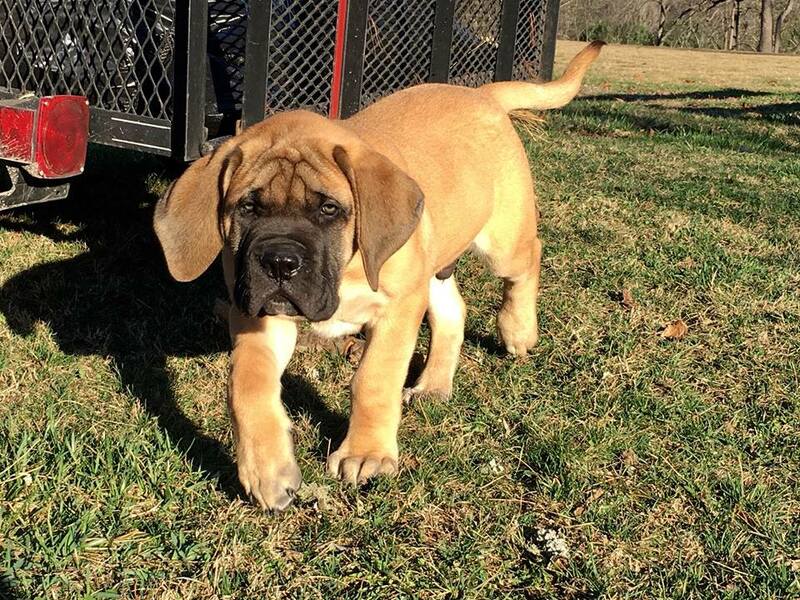 We would like to introduce our newest addition "Mattis" that has joined us here at Mountainheel Mastiffs. Currently at 13 weeks 6 days Mattis weighs 55 lbs. 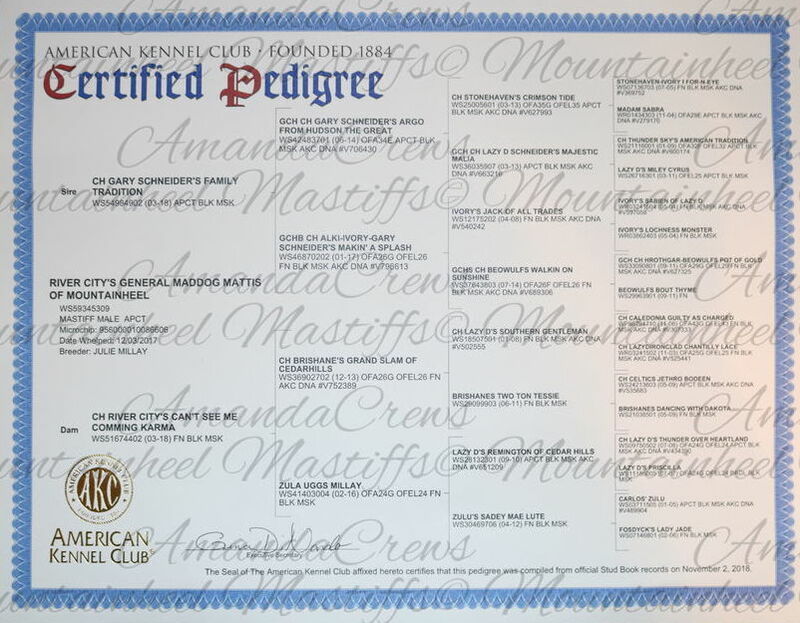 This future show/breeder male came to us from River City Mastiffs in Owensboro, KY.
River City's General Mad Dog "Mattis" of Mountainheel- Mattis is a honey color shade of apricot. At 7 weeks old he was pushing 17 lbs. Parents are both CH titled. Gary Schneider's Family Tradition AKA "Hank" owned by Cedarhills Mastiffs in TN. Hank is the Sire to Mattis. CH. 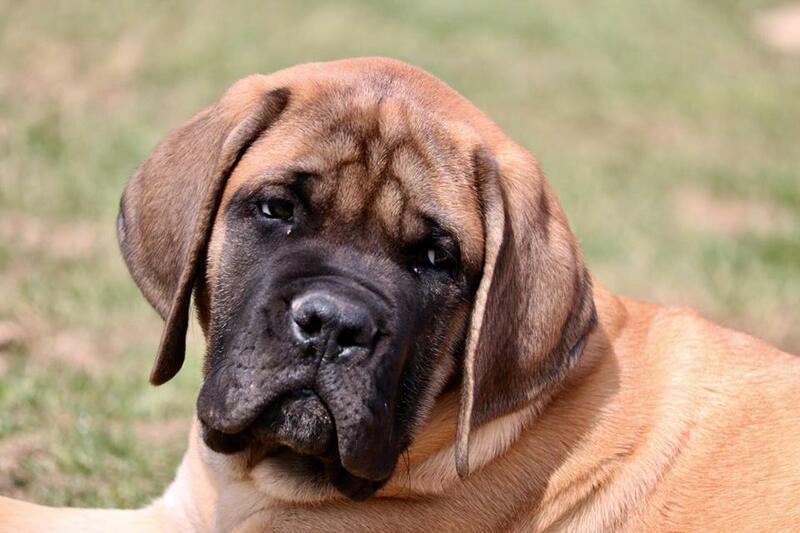 Gary Schneider's Family Tradition AKA "Hank" owned by Cedarhills Mastiffs in Tennessee. Hank is the Sire of Mattis. Hank is CH titled. 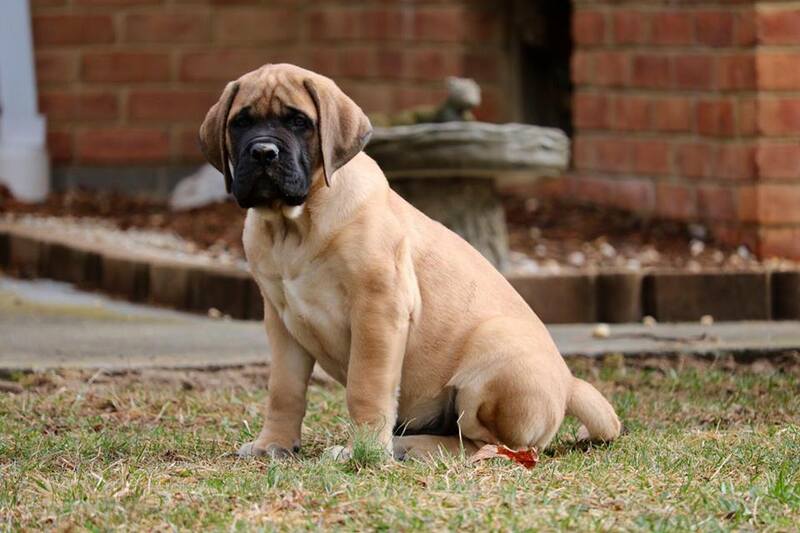 CH River City's Can't See Me Comming Karma owned by River City Mastiffs in Kentucky. "Karma" is the Dam of Mattis.